Joining a running group can help you quit smoking. That's the conclusion of a new UBC study that found that half the people who completed a 10-week program were able to successfully quit smoking. "This shows that physical activity can be a successful smoking-cessation aid and that a community-based program might offer that. Because doing it on your own is very difficult," said Carly Priebe, postdoctoral fellow in UBC's school of kinesiology and lead author of the study. One hundred and sixty-eight smokers from across Canada registered for the 2016 Run to Quit program at Running Room stores, and 72 of them stuck it out until the final week, when 37 participants had their claims of quitting verified by carbon-monoxide testing. The number of successful quitters held up during follow-up interviews six months later. The group that finished the program also included 91 per cent who reported reducing their smoking. 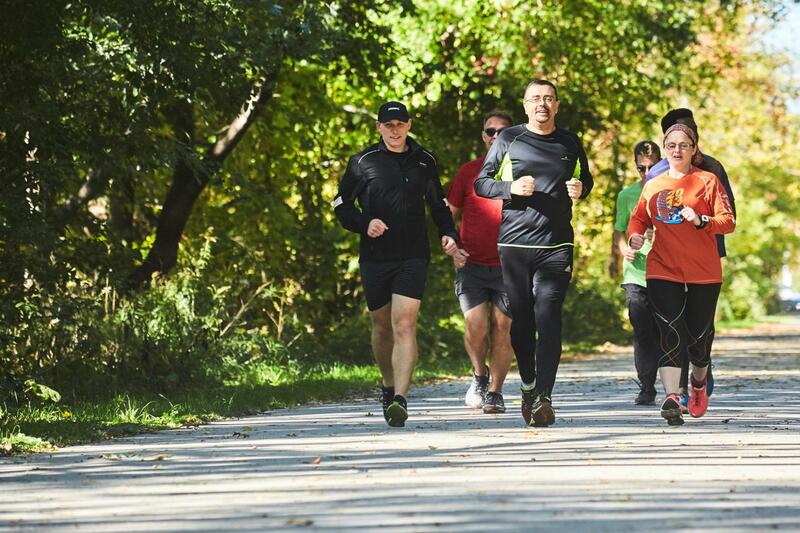 The weekly sessions included classroom time divided between running instruction and strategies for quitting smoking, plus an outdoor walking/running component that progressed toward a five-kilometre run. Participants had access throughout the program to one-on-one phone counselling via the national quit-smoking line. Coaches from the Running Room and the Canadian Cancer Society received training from UBC researchers in administering questionnaires and using a tool called the Smokerlyzer to measure carbon monoxide in participants' breath. Questionnaire responses indicated significant improvement in participants' mental health during the program, and Smokerlyzer readings revealed that their average carbon monoxide level decreased by about one-third. "Even if someone wasn't able to fully quit, reducing their smoking is great," Priebe said. "But it's also about just being active. Most of our sample was new to running, and if it's something that can become part of their lifestyle then there are health benefits that may counteract some of their smoking behaviours." Run to Quit operated in 21 Running Room locations in 2016 and is up to 50 locations this year. Attrition was fairly high, with a noticeable drop in attendance following the designated "quit week" in week five. Researchers want to address that as the program expands to 100 locations in 2018. Fall clinics begin this month around the country. "In the future what we're really trying to stress to participants is to just keep coming — even if you don't quit on your first attempt, keep attending the sessions with the group and keep learning," Priebe said. Run to Quit is a partnership between Running Room and the Canadian Cancer Society, and is funded by the Public Health Agency of Canada. UBC kinesiology professor Guy Faulkner led the research team and co-authored the study, along with John Atkinson of the Canadian Cancer Society. The study will be published in the October 2017 issue of Mental Health and Physical Activity.